1 - When and how often do you have to renew your driver's licence? 2 - When involved in or witness to an accident where someone has been injured, you should? 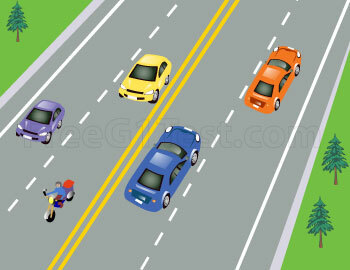 3 - Which of these situations may result in a driving suspension after a court order? 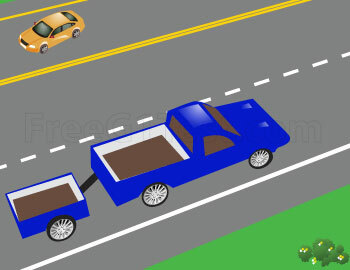 4 - If towing a trailer that is 2.05 m wide or less, what must it have? 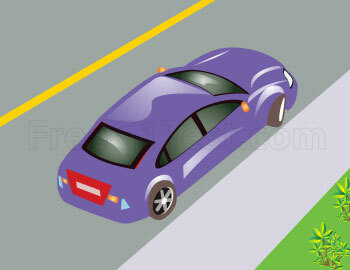 5 - What do double solid pavement markings mean? 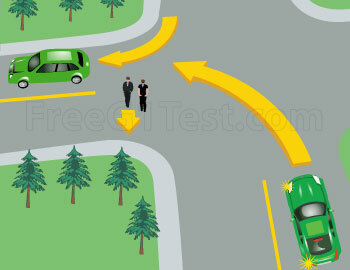 6 - If you are turning left at an uncontrolled intersection and a pedestrian is crossing your path, who has the right-of-way? 7 - When parking uphill with a curb what should you do? 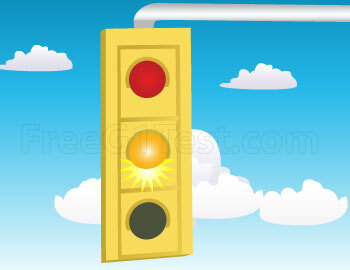 8 - What does a traffic amber or yellow light mean? 9 - What does this hand signal mean? 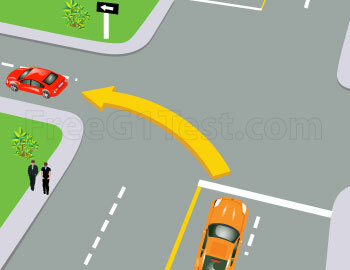 10 - How do you make a left turn from a two-way road onto a two lane one-way road? 12 - Which of the following is correct about seatbelts?  13 - What does cumpulsory automobile insurance mean? 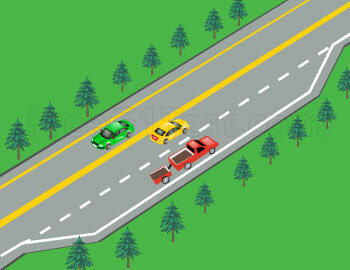 14 - Two solid yellow painted lines on a roadway as in this picture do which of the following? 4. 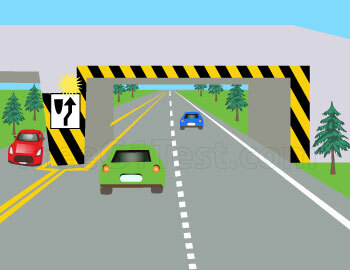 Are warning to guide drivers away from fixed obstacles like islands, bridges etc. 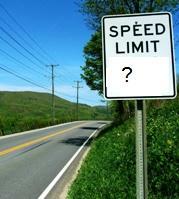 15 - What are passing or climbing lanes for? 16 - What should you do if you encounter dangerous whiteout conditions? 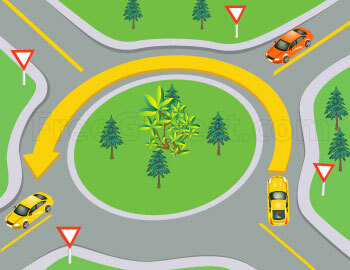 17 - Who has the right-of-way in a roundabout? 18 - What does the Accessible Parking Permit give you?  19 - How can driver distractions be avoided? 20 - What if you are a G1 or G2 driver and you have 9 or more demerit points within 2 years?